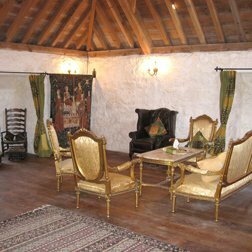 Turin Castle County Mayo is a luxury self catering venue near Ballinrobe in County Mayo Ireland. It is a unique medieval castle set against the backdrop of picturesque countryside. This exclusive and intimate venue is the perfect location for a romantic, castle wedding, parties or family gatherings. 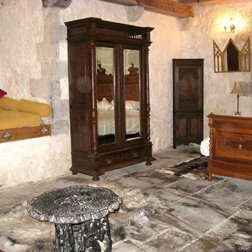 It is the only privately owned castle in Ireland with en-suite facilities. 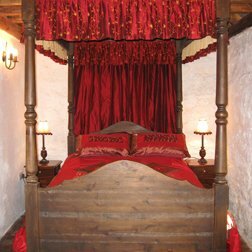 The castle can cater for up to 25 people in the great hall for a meal and sleeps a maximum of 12 people. The castle is hired on a self catering basis but catering can be arranged if required. Please ask for details. If you are looking for a truly exceptional medieval experience, Turin Castle in County Mayo will not disappoint. The castle is ideal for a family holiday with a difference or a special intimate wedding affording total privacy. 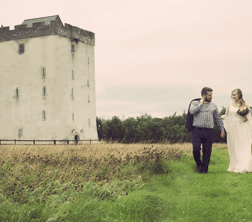 Turin Castle is situated in the ancient barony of Kilmaine, the castle is surrounded by 16 acres of rich walled pasture land and is an ideal choice for couples searching for an idyllic but small wedding venue. The nearest town is Ballinrobe which is 8 km away offering a good selection of pubs and eateries. The picturesque village of Cong famous for the John Ford film ” The Quiet Man” and Ashford castle are also close by. The peaceful & relaxing castle accommodation offers an ideal base for touring the West of Ireland and its many attractions, including the spectacular Cliffs of Moher which is approximately 1 hour and 30 minutes drive. Bunratty Castle and Folk Park is a 2 hour drive. The area abounds with natural beauty with the mountains and lakes of Connemara less than an hour away, making Turin Castle the perfect gateway to the Connemara National Park and the Aran Islands. Click on the link above and take a look around Turin Castle ! 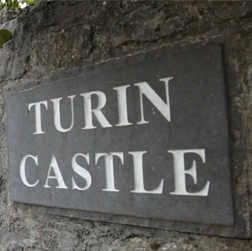 Set in the beautiful rural Irish countryside Turin Castle offers stunning scenery for your weddings photos and video and a unique and romantic setting for your Civil Ceremony or Blessing. 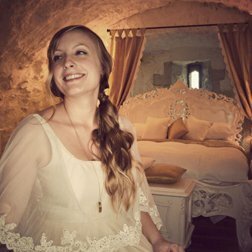 Turin Castle caters for small, intimate weddings. Turin Castle can seat up to twenty people in the Great Hall and it can accommodate twelve people. 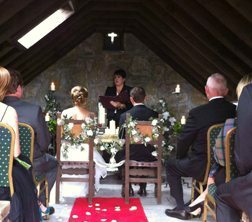 It is an ideal private wedding venue for couples who want to celebrate their special day with close family & friends. Our visit to Turin Castle Ireland was to celebrate 25 years of marriage. It was truly an experience that will remain in our minds forever. Marnie and Brendan are fantastic. Leaving a nice welcome for my beautiful wife and I to celebrate 25 years. We especially enjoyed our evenings by the fire listening to music and simply taking in the beauty of this trip. Four couples from upstate New York and one from Leicestershire in England spent a week in Turin Castle, September 15th-22nd 2012. It was a once in a lifetime experience for us. The couple from England are of Irish heritage and are singers and musicians in the folk clubs there. Suffice it to say that we had some terrific traditional Irish songs in the Great Hall. We had a ceildh with Irish dancing and had a ball in the hall. Stayed at Turin Castle to have a small rural wedding. The castle was far more than I had expected, every one of our guests were amazing and the family who stayed with us were as happy and comfortable as we were. We look forward to returning. Myself, my husband and 2 friends had a very memorable time! We loved walking in the beautiful, serene countryside surrounding the Castle, and exploring the areas of Mayo/Galway. Marnie and Brendan, greeted us upon our arrival and gave us the initial tour of the Castle.It was truly an unforgettable experience and one that we will remember and share with others for years to come! A great place for families with children! The whole day (in fact week) was perfect and the owners pulled out all the stops to make it a day we will always remember. 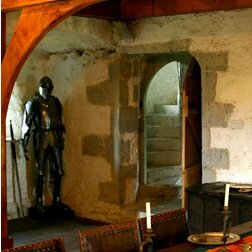 If you want the full fairytale wedding, then this is the real deal, with a grand hall complete with authentic armour and weapons and a massive grounds for the overspill of guests. 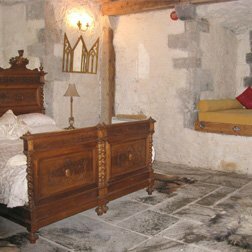 The castle is only large enough for the B&G and immediate family, but there is a lot of local hotel accommodation of all types to suit most guests needs. 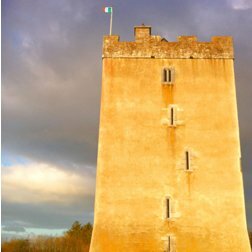 From early records we know that Turin Castle Ireland had been abandoned for at least two hundred and fifty years up until it’s restoration in 1997. The origins of Turin Castle Ireland and neighbouring Castles are sadly mostly lost in the mists of time. According to the chronicler O’Donovan, “In the parish of Kilmaine there are several square Castles said to have been built by the Burkes (de Burgos). There is one in Turin, one in Cregduff, one in Elistron and one in Killernan”. Turin would appear to derive from the old Irish meaning ‘small bleaching field’. Which may suggest that Turin Castle Ireland was involved in the very lucrative trade of sheep farming, there was a growing market for hides , meat and wool in continental Europe. By the mid 16th Century Kilmaine politically and economically was the most important barony in the county. In 1574 there were 41 castles in an area of just 10 miles long by eight broad, by far the highest concentration of castles in Connacht, an indication that agriculture was on an industrial scale.